Why do they give products such long names? Anyway, today's post is all about the Laura Mercier Flawless Lumiere Radiance-Perfecting Foundation (you know I just copied and pasted that from the title right?). 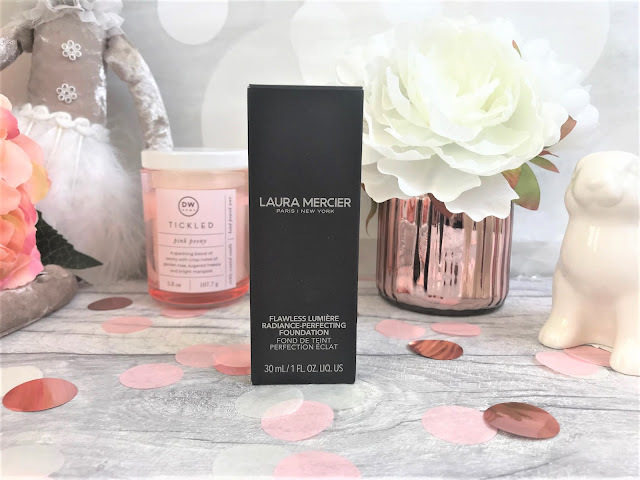 I have tried two Laura Mercier foundations before and I was really impressed with the quality and longevity of the formula and so with Spring more or less here (hurrah! ), I thought it the perfect time to try their new radiance formula. It doesn't matter how many foundations I have tried and loved, or hated, I am always on the look out for the next best thing. 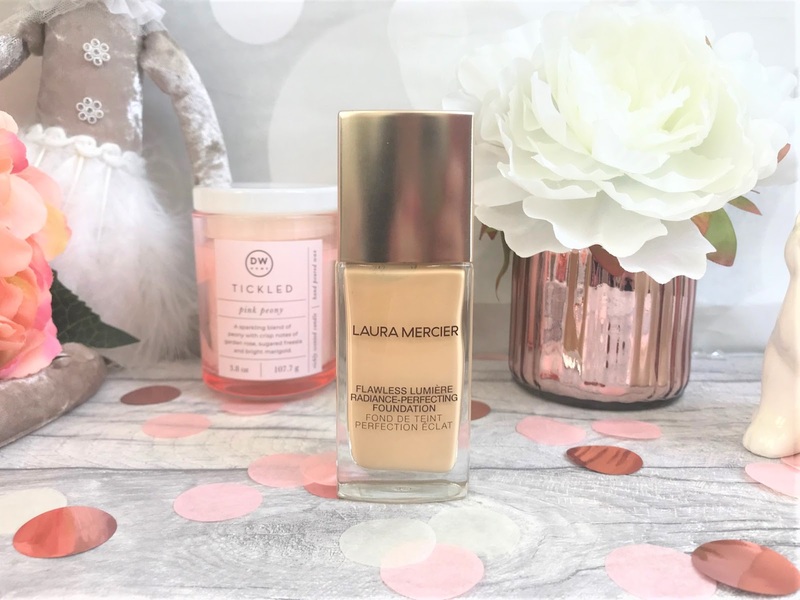 The Laura Mercier Flawless Lumiere Radiance-Perfecting Foundation is suitable for all skin types and has a weightless medium to full coverage formula which Laura Mercier claim will look and feel like a second skin. The product also claims that it improves the skin's natural luminosity over time for lasting radiance and that it provides 15 hours of moisture. Gotta love that. The foundation is in a glass bottle, with a brushed gold lid and matching pump applicator and I would say that 2 pumps is enough for the face as they do come out in slightly short pumps. Straightaway, the formula feels quite creamy, yet not at all heavy with a very faint scent to it, which is not at all unpleasant. This formula definitely brightens the skin, but after the first use, you don't get a 'glow' as such like you do with the IT Cosmetics Illuminating CC Cream, but as it contains Vitamin C, continued use of this is going to give you a brighter complexion. Wear-wise I had no issues with this, and it did last me throughout the day without sliding across my face or transferring. It can be quite a natural foundation if you don't like the fuller coverage, but I found that it blended really well into my skin and as I went in with a Beauty Blender, I got the more medium to fuller coverage that I personally prefer. I have shade 1W1 Ivory as I have quite fair skin and I did have to use the Temptalia Foundation Matrix to match my skin as I don't have a Laura Mercier counter within an hour of where I live, and I was definitely happy with the colour choice. There are 21 shades as far as I can tell, so maybe I could have found something even closer to my natural skin tone if I had been able to get to a counter. The Foundation costs £36 for 30ml which is about right for a higher-end foundation and due to its creaminess you don't need to use a lot of product per use. You can find the Laura Mercier Flawless Lumiere Radiance-Perfecting Foundation online at Feel Unique.